The tight wrist offers optimum shooting dexterity and comfort and is . . secured with a leather hook-n-loop strap. Added leather tab assists . . in pull on. 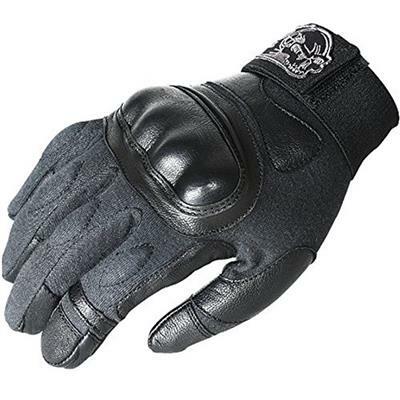 Slightly padded palm area for added gripping power and . . comfort. Black only.